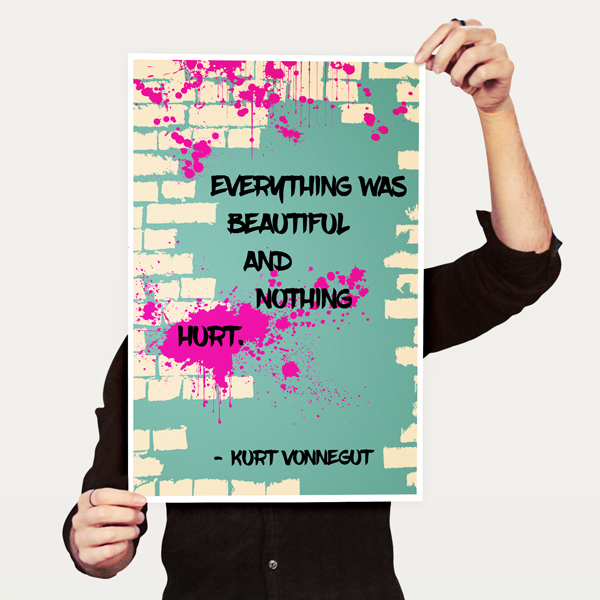 Celebrate your love of Kurt Vonnegut’s masterpiece Slaughterhouse Five with this limited-edition print created by the fine people over at Lucky Ember Design. Our art prints are printed on premium, archival paper that’s milled in the United States. The matte paper has a beautiful, slightly textured finish that showcases the high-density inks.